The July edition of Tabletalk is out. 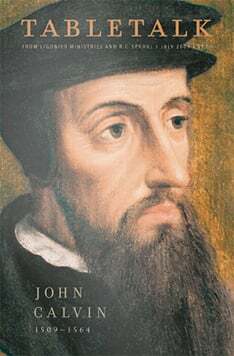 This month’s theme is “John Calvin” and, on the five hundredth anniversary of his birth, it focuses on the ministry and the legacy of the great reformer. Contributors include R.C. Sproul, Thabiti Anyabwile, Rick Gamble, David Hall, Keith Mathison, Iain Murray, David Powlison, Gordon Reed, Philip Ryken and Derek Thomas. “Where Is the Glory Found?” by R.C. Sproul Jr.